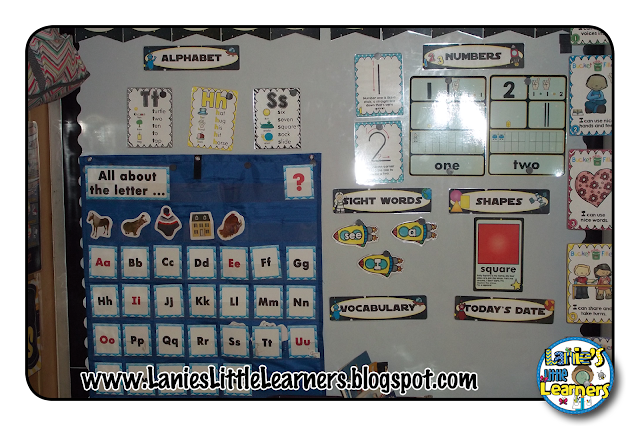 This is the first school year that I have used the Alphabet Anchor Chart cards in my Pre-K classroom. The students like the bright colors and simple graphics. I designed the Alphabet Anchor Charts to use as an alphabet frieze, my Daily Focus Board, and flashcards for my Writing Center. The picture below show the letter cards for Tt, Hh, and Ss. The 5.5" x 8.5" size cards in use on my Daily Focus Board. (26) 8.5” x 11” individual letter anchor chart. (26) Approximately 5.5” x 8.5” individual letter anchor chart. (26) Approximately 4.25” x 5.5” individual letter anchor chart. I use all of the 8.5”x 11” Alphabet Anchor Charts along the top of my dry erase board for the students to see during large group. 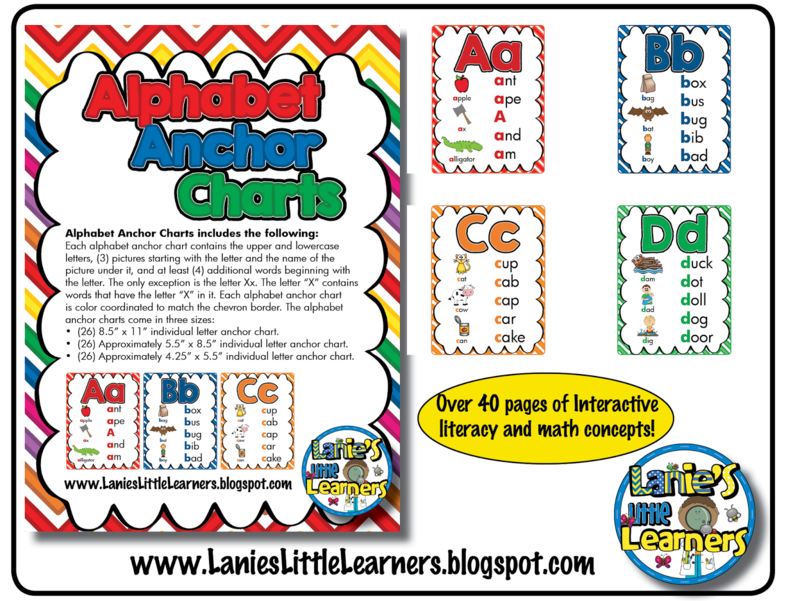 I use the 5.5”x 8.5” size alphabet anchor chart cards as part of my daily focus. I pin the letters that I am focusing on for that week on the board. I also use them as flashcards. The 4.25”x 5.5” size alphabet anchor chart cards I use in my writing center for the students to use to practice writing, identifying the letter, and words starting with that letter. Directions: It is recommended to print on card stock and laminate for durability.